I couldn’t bear to toss. 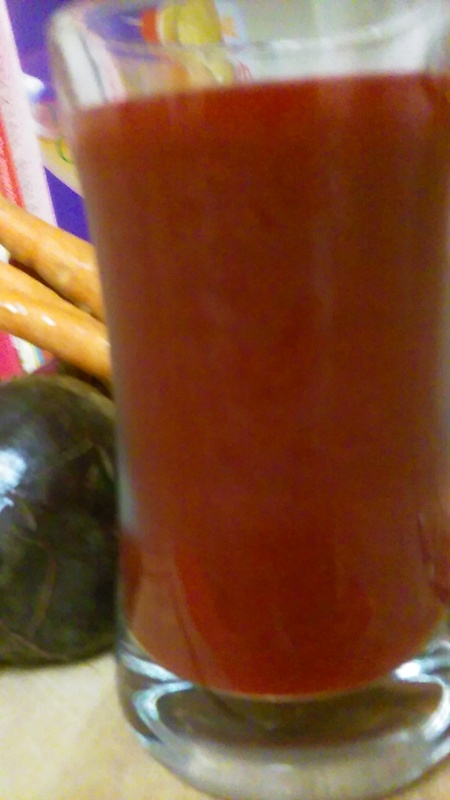 I made myself beet and carrot juice. 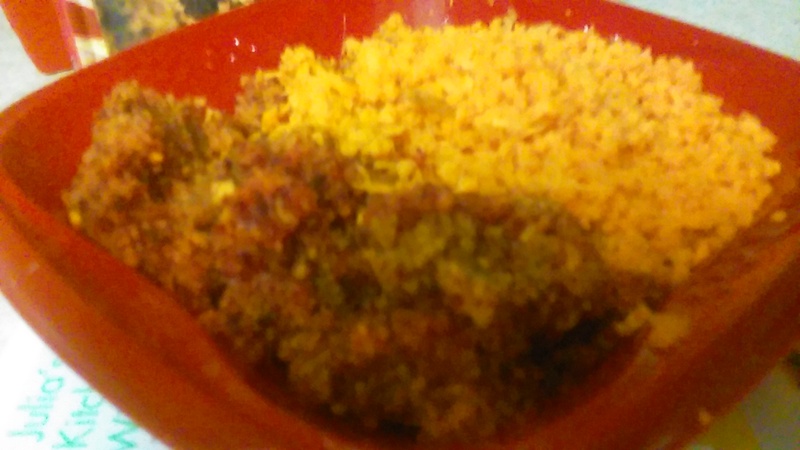 I incorporated finely chopped ginger root and a squeeze of lime. With a splash of water, all ingredients were placed in standing blender. This was blended and then strained so as to remove pulp. Though most of the juice was extracted, I retained the pulp which still contained enormous fibers, beta-carotene, and other nutrients. 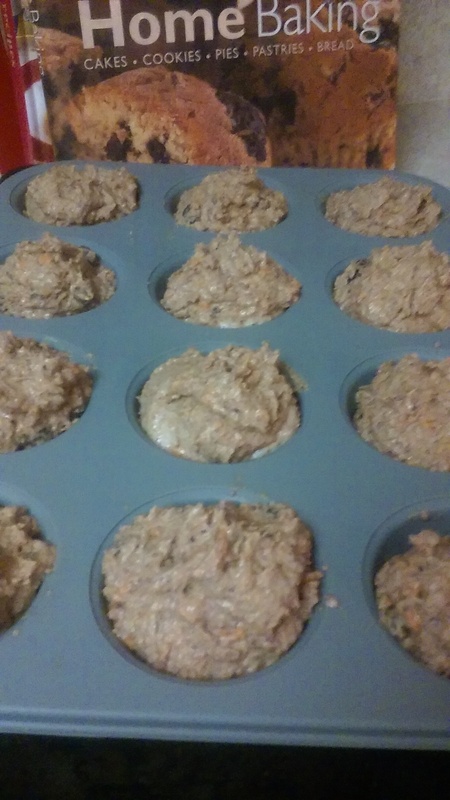 I decided to make carrot and beet muffins. 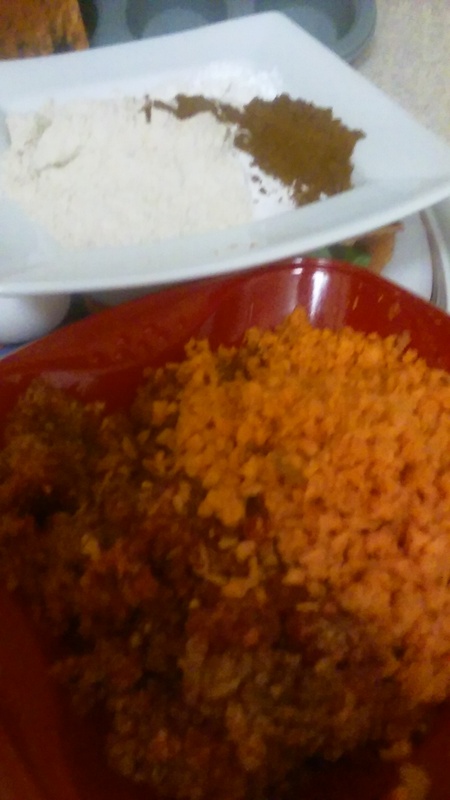 I added shredded carrot to same and combined. Butter, oil and sugar were creamed and then vanilla added. All dry ingredients were combined and then gradually added to creamed butter and sugar. Pulp of carrots and beets along with shredded carrots and raisins were added and folded. Batter was then placed in sprayed muffin pan. 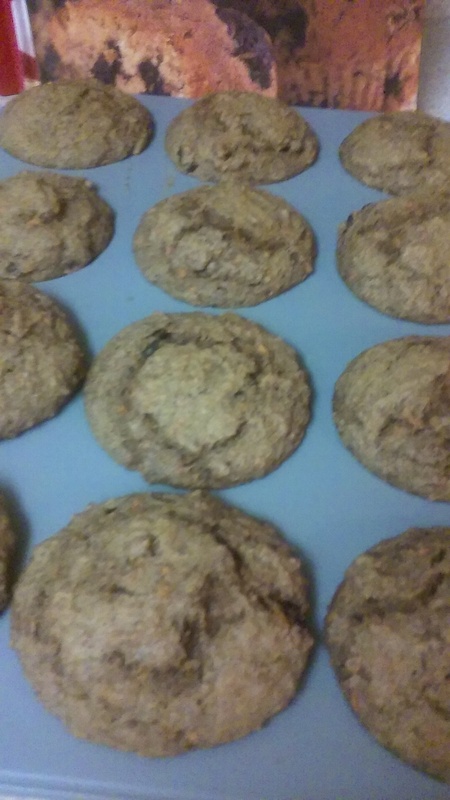 Muffins were baked in a pre-heated oven at 370 fahrenheit until done.